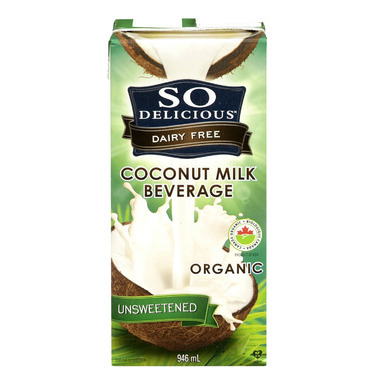 Slide over Soymilk and move over milk, So Delicious Unsweetened Coconut Milk Beverage is here! This delicious coconut milk goes great on cereal, in coffee, mix into recipes and poured into a tall glass. So Delicious produces coconut milk with an awareness of how foods affect a person's well-being and quality of life. To make their delicious coconut milk, So Delicious uses only the highest quality ingredients while employing the most stringent testing, production, and packaging methods. Ingredients: Organic coconut milk (water, organic coconut cream), carrageenan, guar gum. So good! Great for keto-friendly shakes! This is the best coconut nut milk beverage . Tried many other brands. They're all pretty liquidy. I have been using this to replace dairy for about 6 months in my coffee and hot cocoa, itâ€™s truly one of the best kinds out there. I did research before settling with this brand and have no regrets. Great tasting product! coconut flavor was really subtle, which was great when making certain recipes. Great in my coffee which is what I wanted it for. I love it! It is tasteless, oderless and flavorless. It is like drinking white creamy water. My next step was to go to the grocery store to buy a fresh coconut. I love this product! 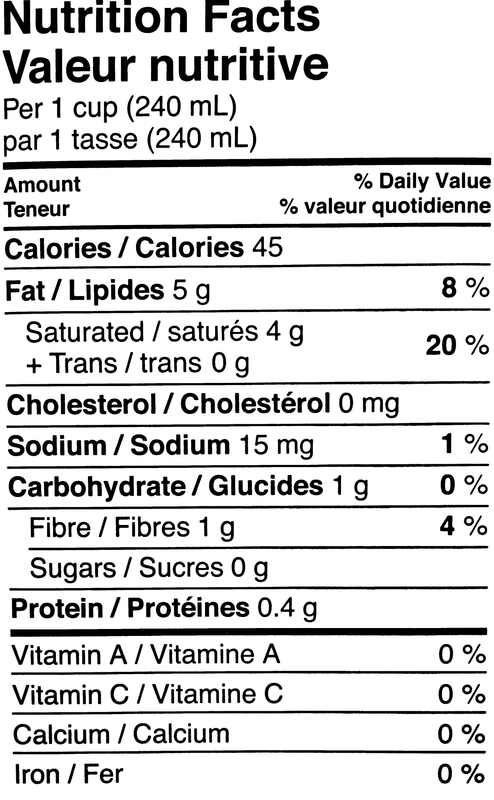 It has way less sodium than other shelf brands. I use it to replace milk in any recipe that I make; from tuna casserole to baking and for my coffee! I like this milk because it has less ingredients and there is no need to mix it like you have to with a can. I use it to cook, bake, and the occasional hot chocolate. Perfect substitute for someone like me with severe dairy nuts allergies. Perfect in recipes. My go-to milk alternative. I prefer this to almond milks and other brands because it doesn't contain a lot of ingredients or sugar. Resembles skim milk in consistency and is very mild in flavour, enjoyable even if you don't enjoy coconut. I use it in cold cereal, oatmeal, and baking and it has a great shelf life. I'm concerned that this coconut milk contains carageenan. I was hoping to buy a case as I am looking for bpa-free, non-gmo organic coconut milk. Too bad. I use this in smoothies, baking, popsicles, cooking, etc. I prefer this brand because of the few additives and ingredients. This is the only one I have found in a ready to use format with so few additives. It sort of tastes like milk, but it doesn't taste like coconut. As Layla put it: very bland. I prefer Coconut Dream. In baking, I'm sure it'd be fine. I like this product. I drink it alone and use it in my baking. I like that it has no flavor as it goes well with a lot of things (e.g granola, baking, smoothies). I use this in smoothies and protein shakes (with raw vegan protein powder). I tried it straight up as well. Its ok but just super bland. I prefer the taste of almond or soy milk personally. Bottom line, its ok but don't expect any flavour whatsoever, and that may be preferred by some. this replaces milk in all of my cooking and baking!! if you are looking for somehthing to substitute for milk try it! i make my girls hot chocolates, pudding with it too! great product great company! their coffee creamser are aweosme too! had to find , but well worth the search!